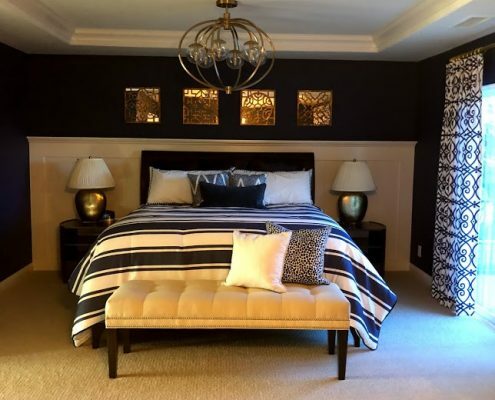 Rancho Interior Design is a full service Residential Interior Design firm located in the Temecula Valley, serving the Inland Empire and all of San Diego. We have been designing residential interiors throughout Riverside and San Diego Counties including the cities of Temecula, Murrieta, Winchester, Menifee, Canyon Lake, Hemet, Corona, Chino Hills, Riverside, Palm Springs, Fallbrook, Oceanside, Carlsbad and San Diego for over 19 years. We get excited about every job large or small. 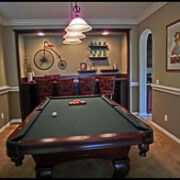 If you are looking for an update, we can offer suggestions and specify materials to make subtle changes to your spaces. We’ll shop for you and place the items in your home to transform your space. 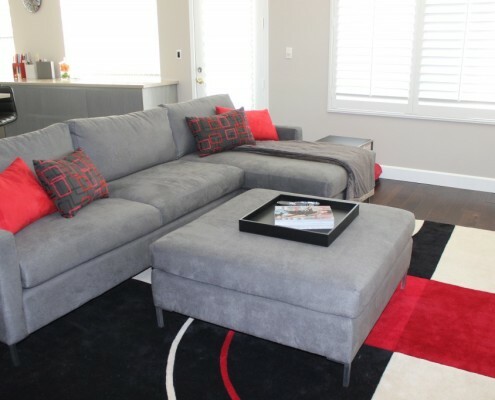 We will make suggestions for furniture placement to maximize your spaces and make them more functional and beautiful. We’re a great, affordable option for DIYers because they can be as involved in the process as much as they prefer. If you’re looking for a Turn-Key design we can do it all from concept to purchasing and final installations. 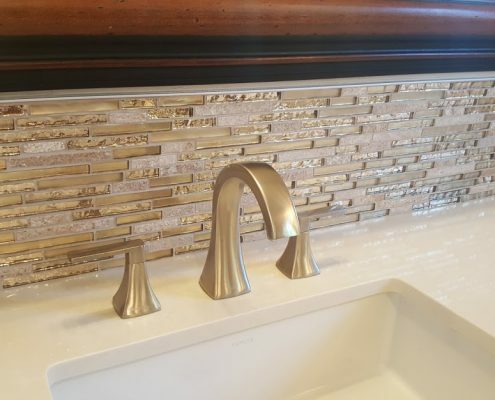 If remodeling your kitchen or bath is your plan we will help you design and plan your space, specify and purchase materials and recommend our trusted contractors to do it all to your specifications. We specialize in Modern Design and will design your home to give you a beautiful, updated space that reflects your taste and lifestyle. 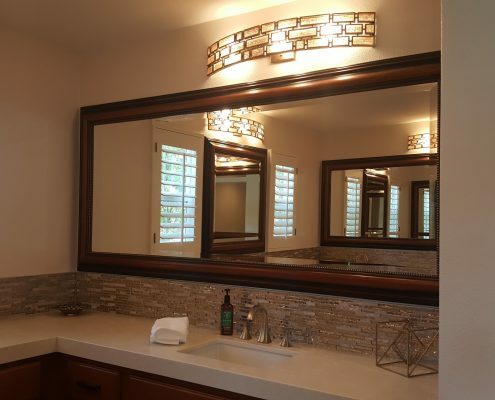 Whether you are building or purchasing a new home, planning a remodel, want a new look for one room or the entire house, we can help transform your dreams into reality for any size project. 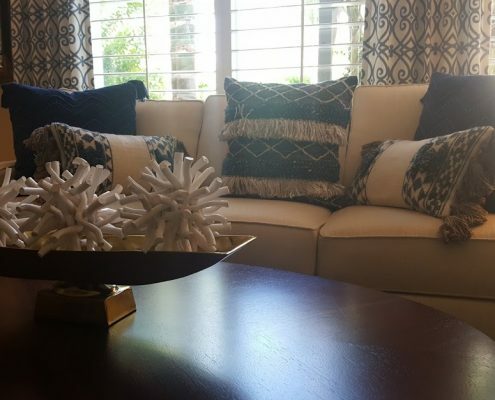 Our services include Turn Key Design and DIY Consultations for those who want to utilize our Riverside County interior design services . Some clients, in particular Millennials prefer to be involved in the design process, often have their own ideas, may want to do parts of the project themselves and are looking for a partner more than turning over the project to their designer. For those clients we offer our very popular DIY Design Consultations.We partner with them and help by educating them about their choices and help them achieve the result they are hoping for both aesthetically and functionally. We save them time and stress by managing the project and can save them money by offering discounts on materials through our trade purchasing abilities. The DIY Design Consultation will result in a Design Plan for the project. This overall design plan can include space planning, color palettes, material selection, furnishings and accessories. Once you have your overall plan you can proceed confidently knowing you will make the right decisions and avoid costly mistakes and regrets. This is a very affordable option to begin and develop your project goals. 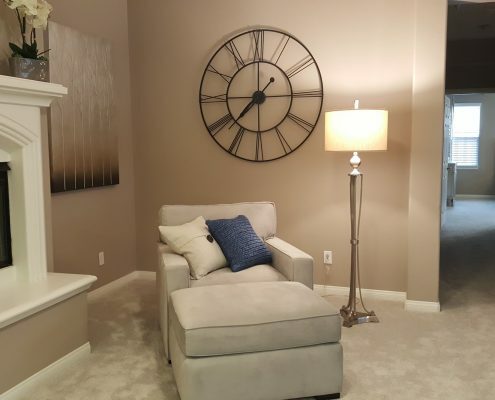 We have worked with many clients who live in lovely 55+ gated communities including the The Colony in Murrieta, The Oasis in Menifee, Four Seasons in Temecula and Hemet, Solera Diamond Valley in Hemet and Ocean Hills Country Club in Carlsbad. 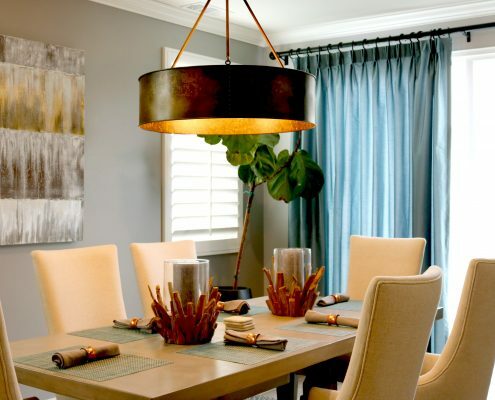 These projects involved everything from window treatments to custom built-ins to kitchen and bath remodels to updating fixtures, flooring and paint, and decorating with new and clients’ existing furniture. So don’t hesitate to call us to get some professional advice and services. 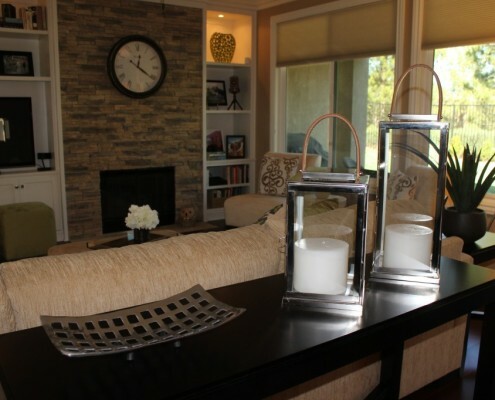 Rancho Interior Design was established in April 2000 by owner and lead designer, Cynthia Champness Cuellar. 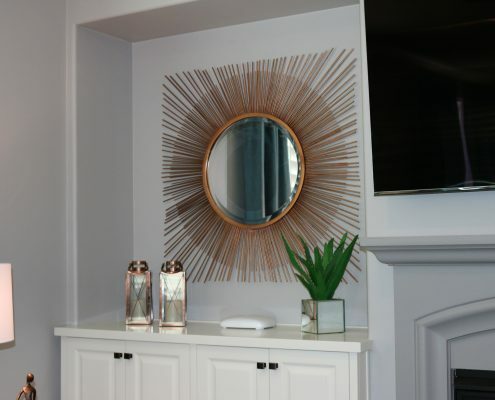 Cynthia has dedicated herself to creating a custom look for each of her clients, while providing a professional perspective to accentuate their taste and lifestyle and working within their planned budget. 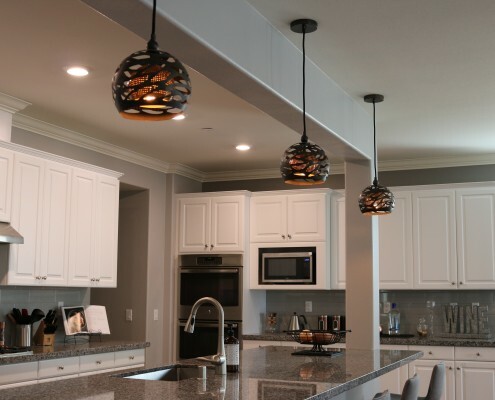 Her team consists of licensed, experienced contractors and trades people who strive to complete projects expertly and on time following the approved design. She understands that working with clients on their homes is a personal, emotional and exciting experience for her clients and she will help make the process as stress free as possible with her honest, easy going manner. 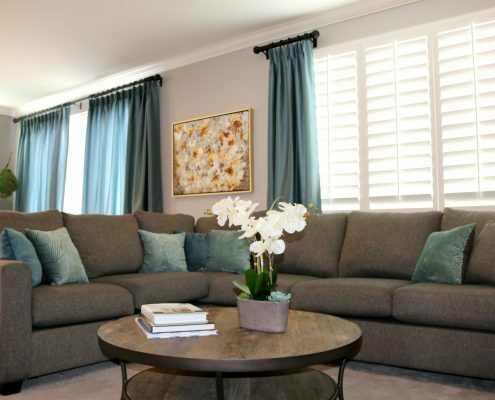 We begin every project with a one-on-one In-Home Design Consultation in your home (in Riverside County or San Diego County) with the homeowner and designer to get to know one another and discuss the project goals, time frame, budget, etc. We research, design, plan, specify and purchase materials and furnishings, coordinate trades and manage your project every step of the way from design conception to completion. You have the option of hiring us to create your design, specify and purchase materials and manage your project or you can hire us to create a design plan only for you and you perform the labor and do your own purchasing. Our affordable design fees fit most budgets, and we save you money by avoiding costly mistakes and offering discounted prices on materials and furnishings. 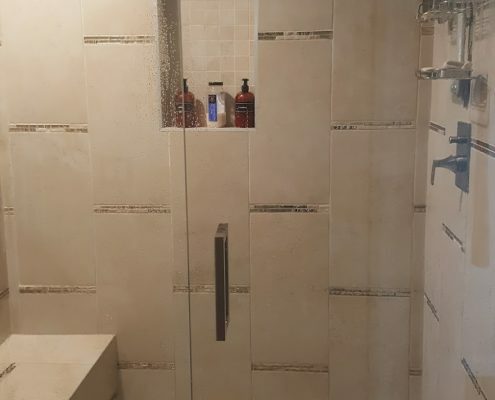 We manage your project and work with our General Contractor to make sure every detail is correct and your job runs smoothly and timely relieving you of the stress and time involved in running your job. 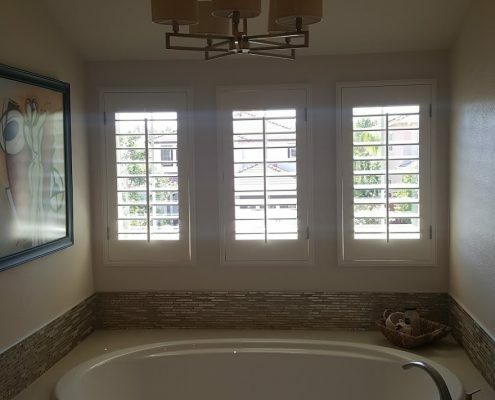 We specialize in designing beautiful, custom window treatments, functional and decorative, to complement any space; draperies, Roman shades, woven woods, shutters and more. 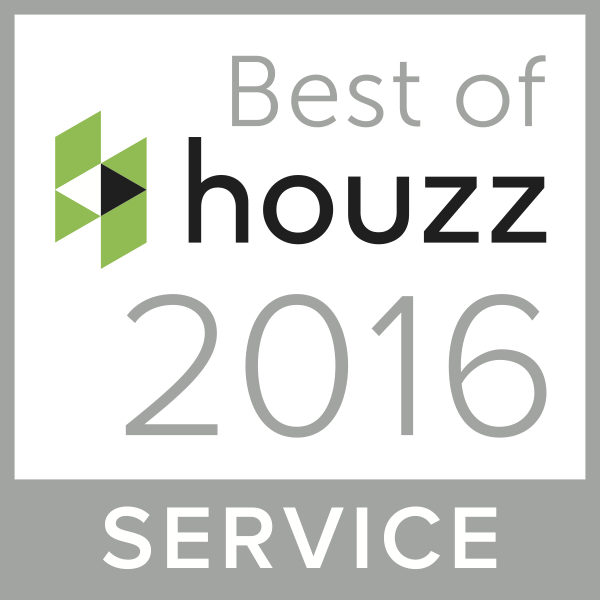 Each treatment is expertly designed, measured and professionally installed in your home. In addition to our affordable hourly design fee, our prices for furnishings and materials are discounted off retail, giving you unbelievable value for custom furnishings and design. Our design fees are very affordable and fit most budgets. We can save you time and money by developing your design, sourcing products for you, offering discount pricing and assuring you do not lose money by making the wrong purchases often made without professional advice. 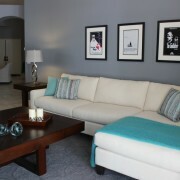 Cynthia transformed our white box of a great room into a beautiful and comfortable space that we never want to leave. We could not be happier with our kitchen/dining room/family room in our new home in Winchester. She is skilled and professional; she completed the project within our timeframe and budget. The room is comfortable, just to our taste and she did a wonderful job capturing exactly what we wanted. We somewhat changed our thinking midway to a more budget and kid friendly plan and Cynthia never flinched. She is easy to work with, she listened, and she met our needs. I highly recommend Cynthia and cannot wait to work with her on our next project. Thank you Cynthia. When I moved into my beautiful new house I was at a total loss as to how to put together a look that would make it feel like my home. Happily I called Cynthia and she exceeded my expectations, giving me a home that was not only beautifully decorated, but one that my family and guests often said was very warm and welcoming. 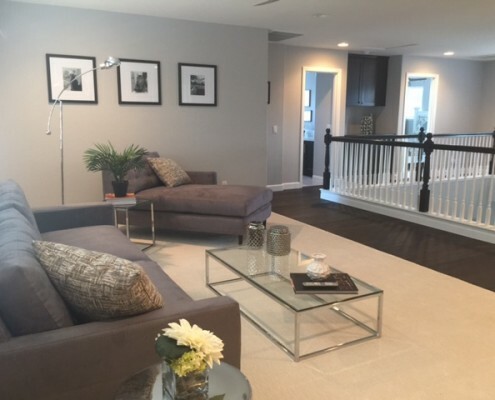 Now, a few years down the road, we are selling our home and many people that viewed our home asked if it was a model home because it showed so beautifully. I believe her wonderful decorating is part of the reason we were able to sell it in just a few days, with multiple offers to choose from. I recommend Cynthia highly and would gladly call her for any future decorating needs I might have. 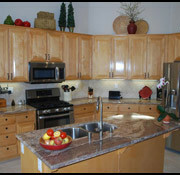 We were in the market to do a major remodel of our living room and kitchen. We looked on-line and in the yellow pages for the right decorator. I called a few and either got no response or we did not click with the designer. 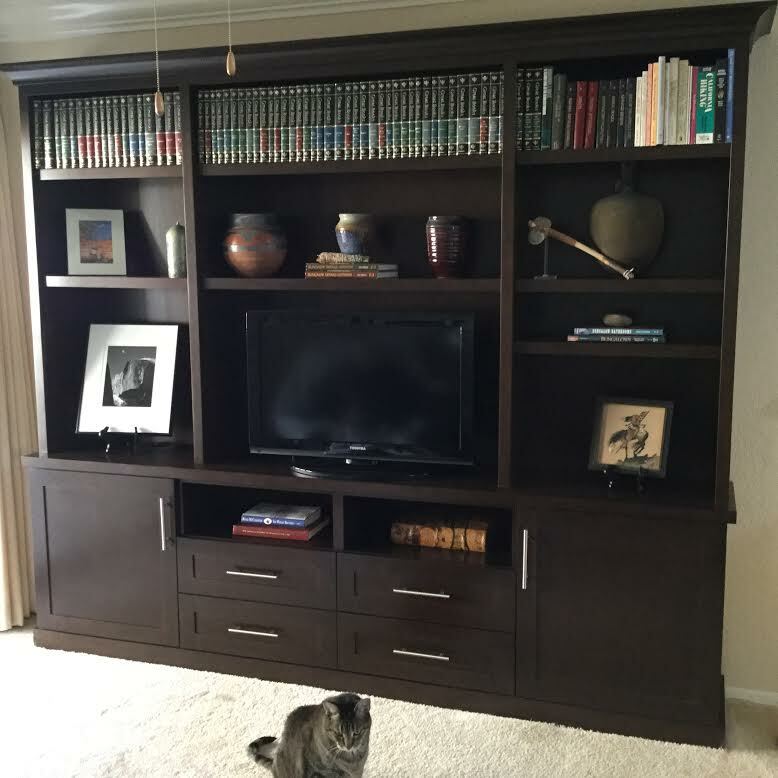 From the moment we called Rancho Interior Design, we found Cynthia was quick to call back and very responsive to us. We set up a meeting and showed her what we had in mind. Cynthia worked with us to refine our ideas into a reality. Cynthia scheduled a meeting with all of her contractors for a pre-meeting and once we agreed on the final design she took us shopping to pick out our materials. 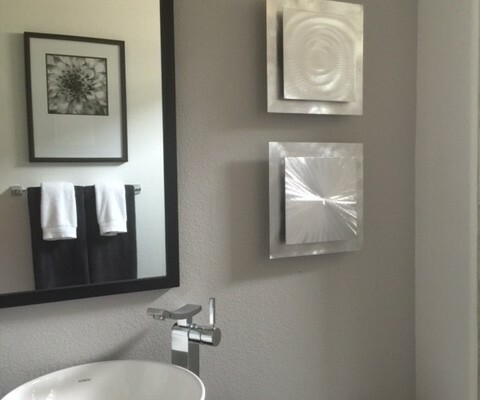 Cynthia arranged and coordinated with all of the subcontractors to complete the work. All of the subcontractors were very professional and conscious of their mess, cleaning up after themselves. Cynthia was the conductor who was able to put all of our ideas into a reality. 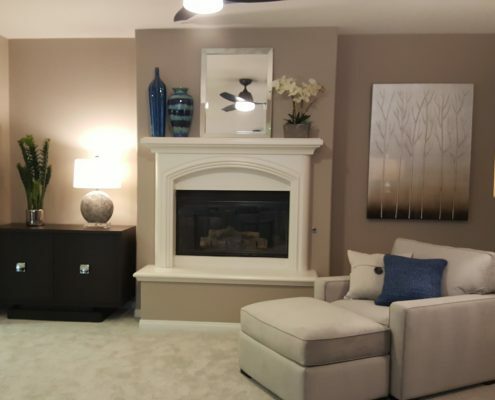 We highly recommend Rancho Interior Design and will use Cynthia to help remodel our entire home. Working with Cynthia to update my home was a delight. She gave me numerous options to choose from, made suggestions but was more than willing to accommodate any individual preferences I had and worked with my existing furniture to develop a cohesive color scheme and design plan. I love the way my home looks and feels now. Cynthia is now designing and remodeling our new vacation home in Oceanside in a modern style unlike our Craftsman style Hemet home. It is coming along beautifully and can’t wait to see it completed. Just wanted to drop you a line and let you know everything looks fantastic. It turned out exactly as I hoped. 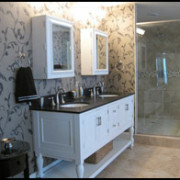 The look of the bathrooms and living room are fabulous! Thanks for your help. We can’t thank you enough for the work thus far on our home. You were/are all so easy to work with. We appreciate your attention to detail, your consideration of us and our time schedules and your promptness with everything. Everyone in the process was most courteous and kind. The feedback we received from family and friends has been enthusiastically positive. Thanks again to all of you. Just LOVE everything! Not a single thing I’d change, even after living it for two months. The rug ties it all together. Everyone thinks it some Persian type. I just laugh and tell them I can clean it by hosing it off outside. Cynthia, I just wanted to drop you a line to thank you and your team for transforming our little tract home into a beautiful and comfortable forever home. My goal was to get as many of the “public spaces” kitchen, dining room, entry hall, bonus room/study and living room updated and prepared for my retirement in July. What a pleasure to finally meet you after working with you remotely for about 9 months from St Louis. 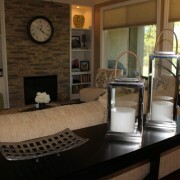 I appreciate that you were able to work with items we already owned and incorporate them into the design. I actually didn’t realize I had a collection of western art until you grouped it together and displayed it in a way that ties it together as a cohesive collection. The travertine tile your team installed on the fireplace brings back a special memory of visiting the travertine terraces in Yellowstone.